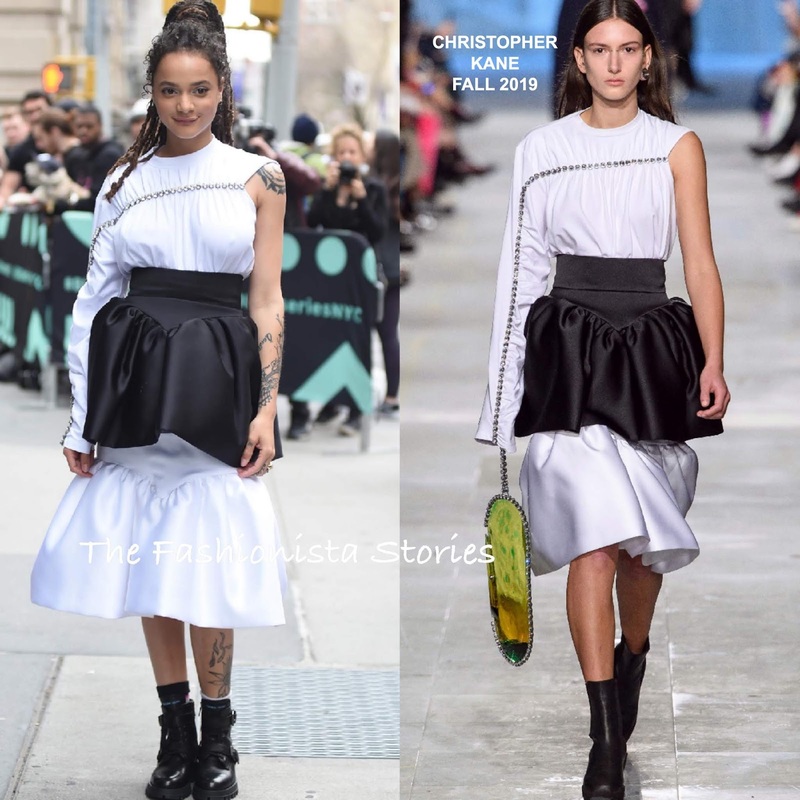 While her style can be hit or miss, Sasha Lane marches to the beat of her own style drum and there is nothing wrong with that. Yesterday(April 8th) she stopped by the Build Series in New York to discuss her upcoming film 'Hellboy'. This CHRISTOPHER KANE FALL 2019 collection is not for everyone but it is right up Sasha's style alley. I can't say that I am loving the two-tone tiered cupcake skirt on her but it's quirky, feminine design suits Sasha. She toughen up her look with black, double buckle boots by PRADA. I am sure the nature of this look won't go over well with some but I like Sasha for her fashion, risk taking sense. What are your thoughts on Sasha's look?